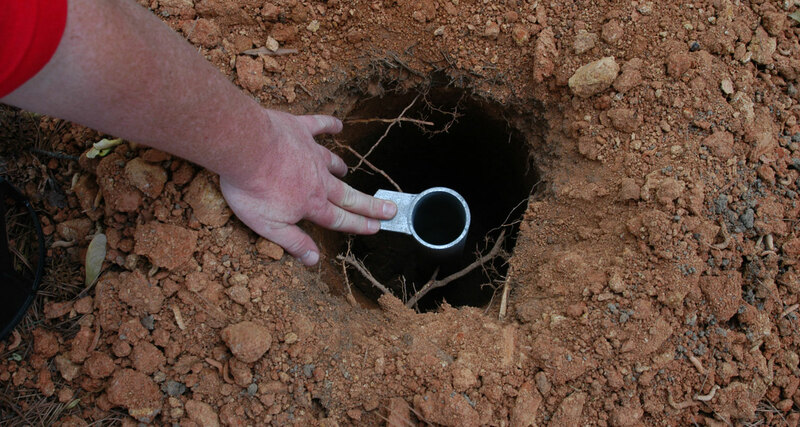 Call 811 to inform local utilities of your project so they can mark/flag any underground lines. Before you can set the targets in the ground, you will need to set an installation tube in the ground for each target location. 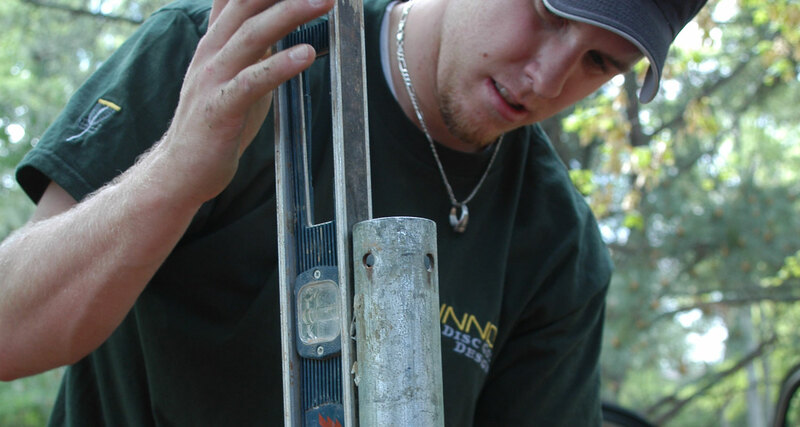 It is important to install each installation tube straight and at a proper height. The following will walk you through the proper process. 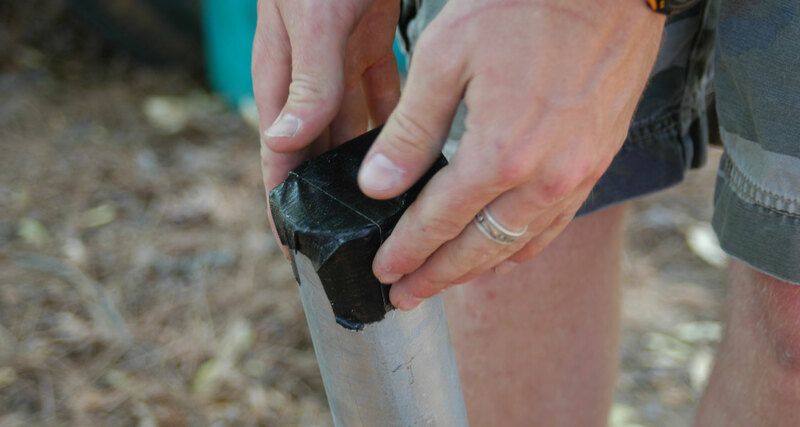 Tape the bottom of the tube. Position tube in the hole. Slide the DISCatcher® pole into the tube. Triple check that it’s plumb. (Optional) Install with sprinkler valve box. This prevents any concrete from seeping into the tube. Concrete in the pipe will prevent the pole from sliding all the way down into the tube. The locking tab should be level with or an inch below grade. Set the tube down in the hole, align the locking tab so that it points towards the tee or last bend in the fairway (so the number on the target will face players as they walk down the fairway). Give enough space to place a lock on the locking tab. Make sure the locking tab is attached. 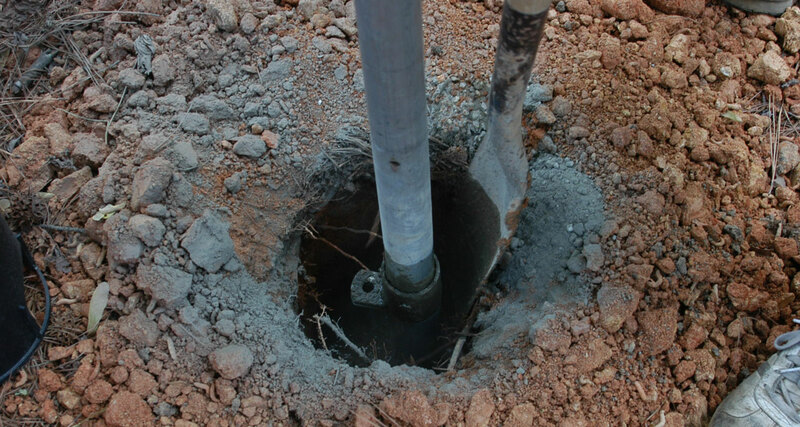 The pole will prevent any concrete from getting into the tube, and make it very easy to align the tube to sit straight. Pour in concrete to fill all but the top 3-4 inches. You’ll need room for the lock to hang. Stick a level against the pole, and move the pole until the bubble is centered. 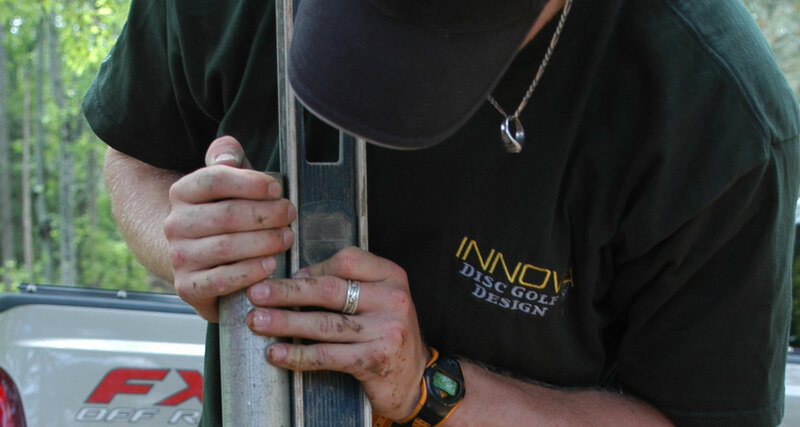 Move the level 1/4 of the way around the pole to measure straightness on the other plane. 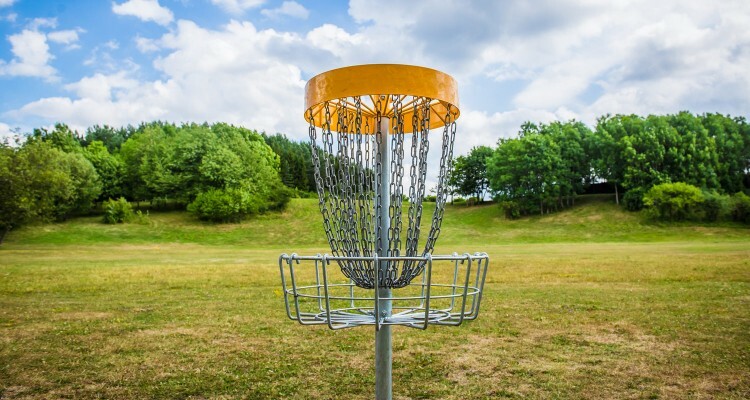 Double check that the tab is facing the tee or center of the fairway. 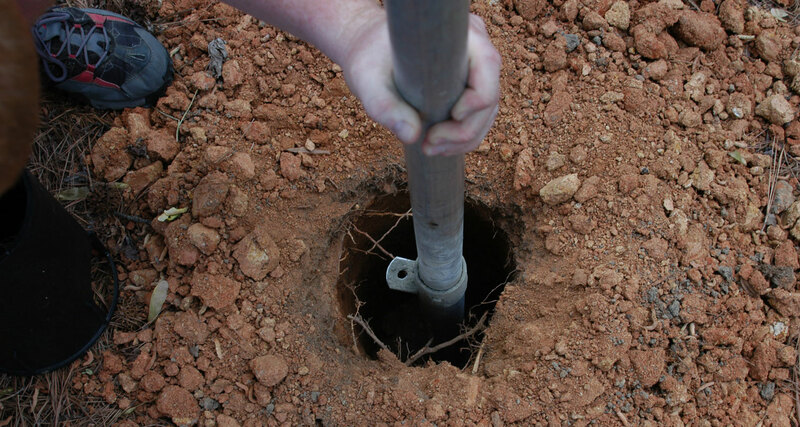 Once the pipe is plumb, remove the DISCatcher® pole carefully. Wipe any excess concrete from the locking tab. 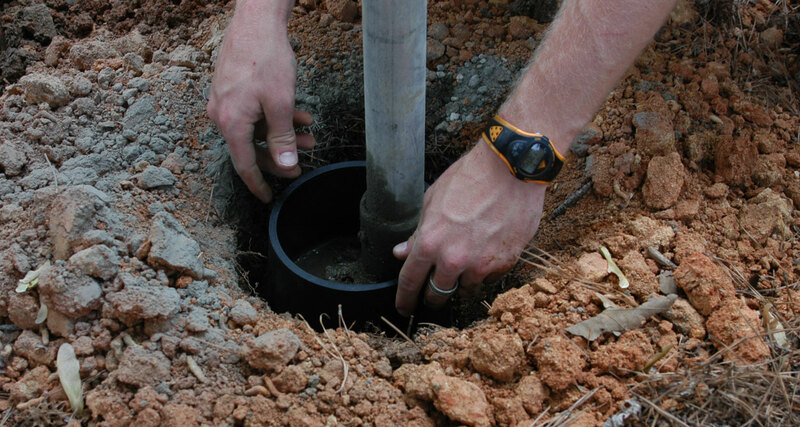 If you are installing sprinkler valve housings, set pole height one inch below grade. 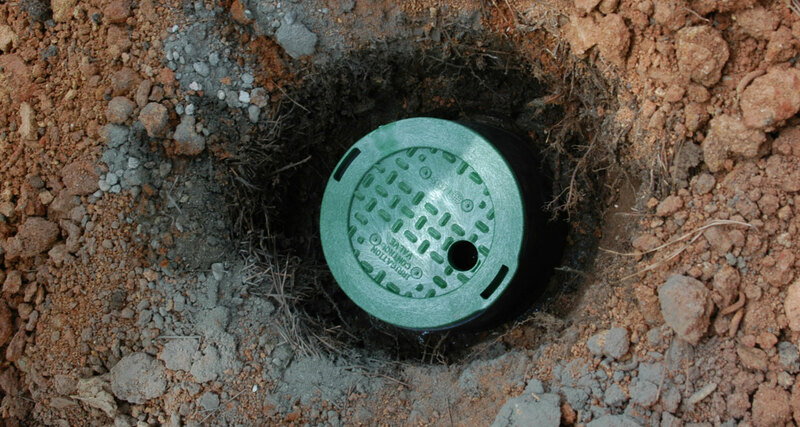 This allows for the sprinkler box to lay flush with the ground. Press sprinkler box into poured concrete after you’ve squared up the pole. Make sure you have room to install the lock. Do not install targets for at least 24 hours. The concrete needs about a day to set. Allow for more time in wet or humid weather.